The man is not Italian, he is however, a solid cook. One of my closest friends, Jodi is dating an Italian and she always jokes how she’s becoming more and more Italian each day, especially when he taught her how to make meatballs. 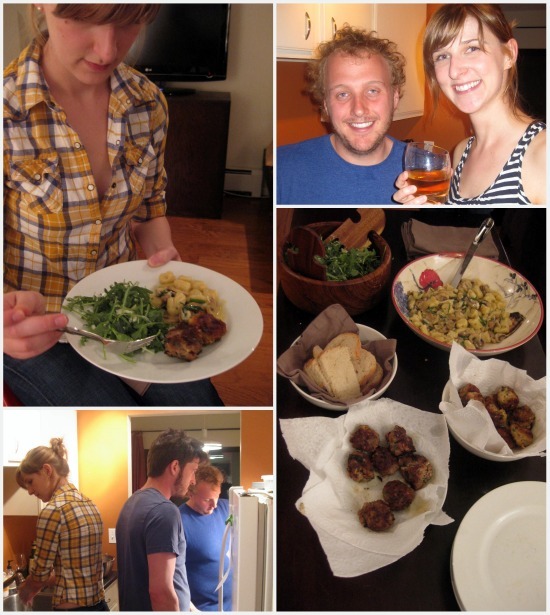 With two Italians and two non-Italians (blonde, light skinned) our partners, we decided to have a meatball challenge. 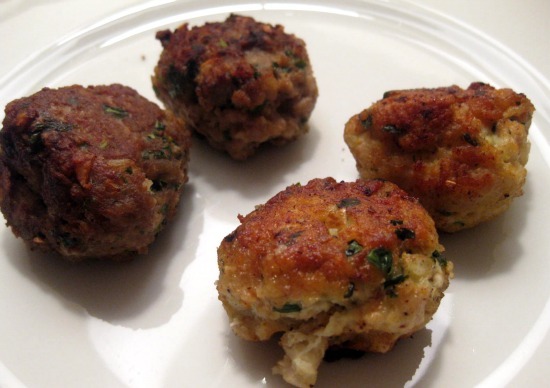 You can tell the difference between our darker turkey meat and their chicken meatballs. 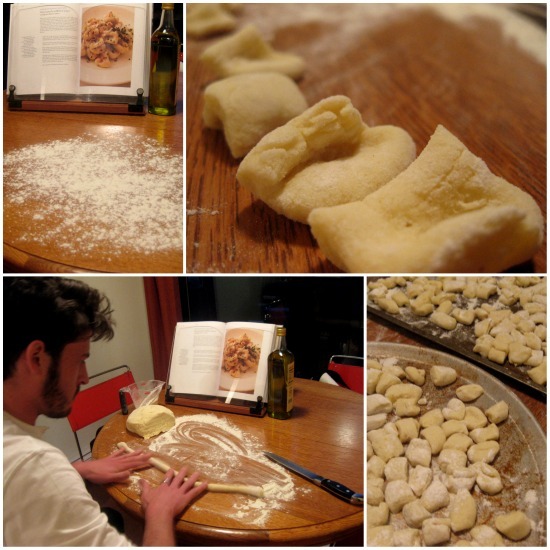 Michael is the man behind the homemade ricotta gnocchi (see below). For the recipe, I follow one close to Giada’s. For the record, we didn’t declare a winner. They were both delicious. 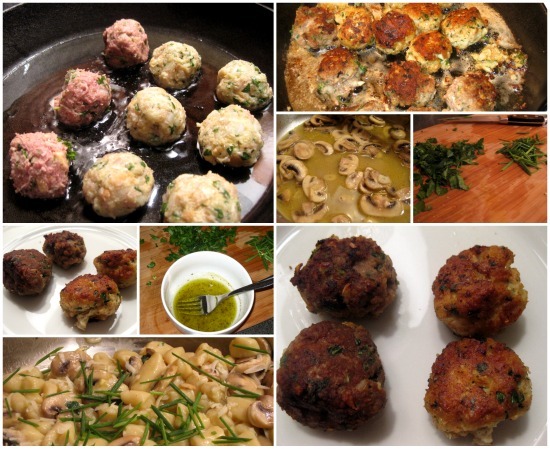 Below, in photos, you will find our meal of homemade potato and ricotta gnocchi with a crimini white wine sauce, turkey and chicken meatballs and an arugula salad garnished with avocados and a lemon olive oil dressing. Michael made a black manhattan. We also enjoyed Iowa’s own, Templeton Rye whiskey. 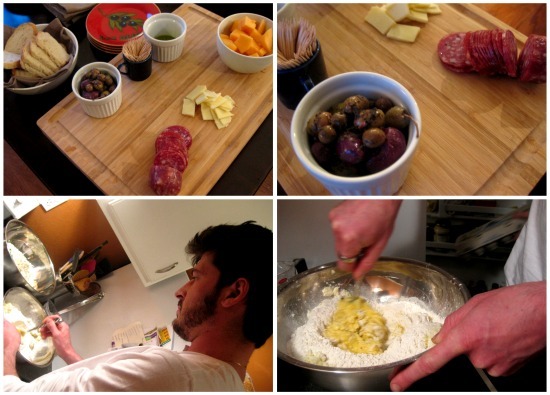 You can find Jodi and Michael’s new food blog: I Cook, He Drinks.